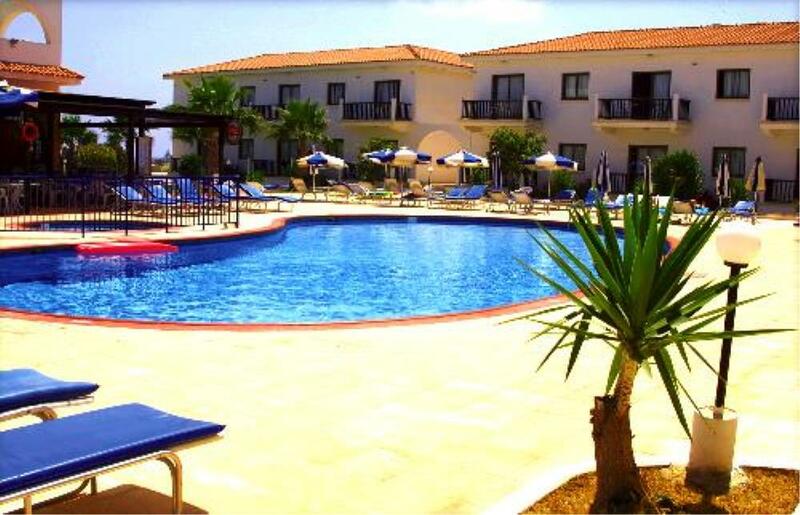 Cosmelenia Hotel Apartments are set in the peaceful quiet surrounding of Ayia Napa just minutes away from beautiful Macronissos Bay. Located just next to the biggest Waterpark of Cyprus offers a perfect choice for families and couples of all ages. These brand new exclusive Apartments provide a good range of amenities, making an excellent base for those seeking a quiet location. 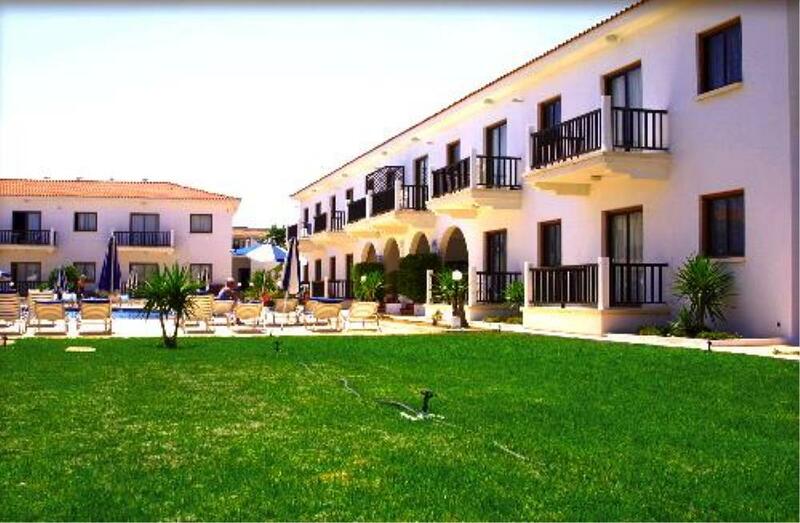 Located 950m to Macronissos Beach, 5km to Ayia Napa centre, 1.9km to Nissi Beach and 600m to Waterworld Waterpark.Provides Pool with sun terrace. 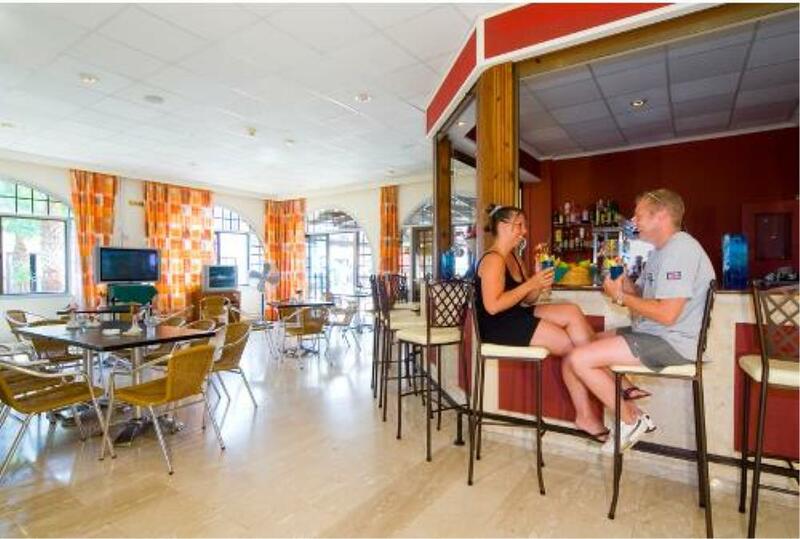 Snack bar service to the pool area Restaurant offering evening meals and occasional Cypriot nights Lounge; indoor/outdoor bar with TV, shows Sky Sports 24hr reception Money exchange. 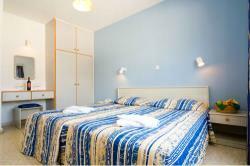 A complex with its 8 brand new Studio Apartments all set in the Superior Wing of the complex, combined with the traditional hospitality offers a totally relaxing holiday experience. The restaurant and bar services of the hotel opens from normal breakfast time till dinnertime and late night and even longer hours during Karaoke and Live Music nights where you can enjoy variety of foods and different exotic cocktails, Beers. Cocktails and spirits are priced less during Happy Hour. One every entertainment nights (once or twice a week), the choices of food vary from Greek Food (Meze), Barbeque to other specialties. The reservation for dinning has to be made prior to the beginning of the entertainment. 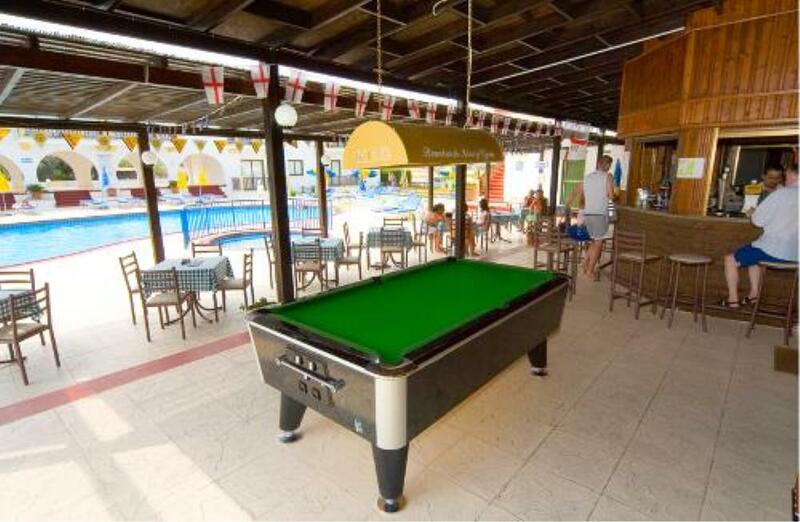 Occasional evening entertainment as well as a swimming pool and pool table. Ayia Napa, located southeast of the islands coast, was once a quiet fishing village. 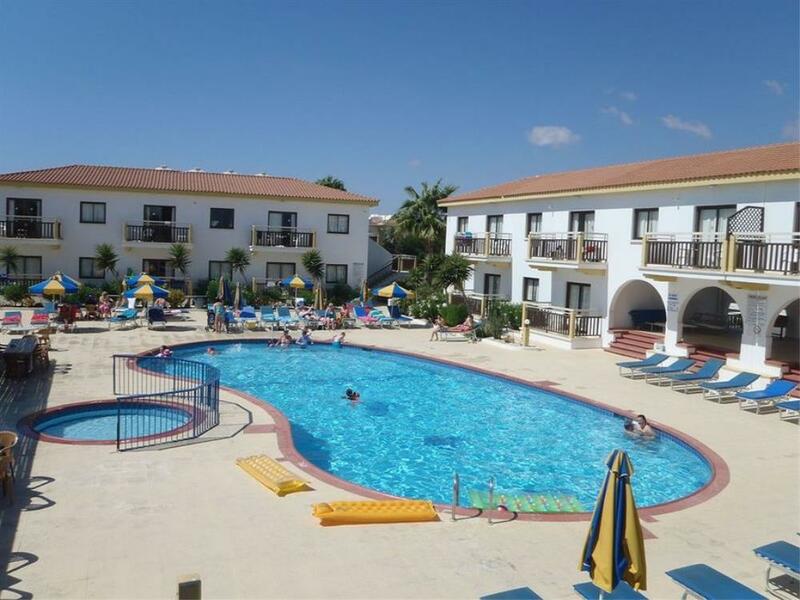 Ayia Napa is now a fun-lovers' resort suitable for those looking for a lively vacation, with a phenomenal atmosphere filled with many bars, nightclubs and other challenging activities for the young and young at heart. The area boasts the most beautiful white sanded beaches on the island hidden among a chain of rocky boulders that form many small bays. For a peaceful and tranquil experience, explore the untamed natural beauty of Cape Greco by hiking, biking or walking trough nature trails of wild flora and fauna.